Longer days make evening hikes possible after DST sets in. But there are a few reasons I also embrace the big DST each spring when it comes to spending time in beautiful Bend, Oregon. Longer days = more hiking! At the start of March, sunset was happening around 5:50 p.m., which pretty much nixed your chances of squeezing in an evening hike after a long day on the slopes at Mt. Bachelor (or a day of work, for those of us who live here). But the sun is now holding out until about 7:10 p.m. and sunset’s getting later each day. 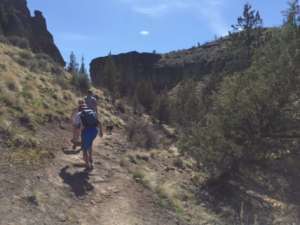 By the end of March, that big orange ball will be sticking with us until 7:30 or later, so it’s a great excuse to fit in an evening hike or casual spring stroll along the Deschutes River. The arrival of Daylight Savings and springtime ushers in one of Mt. Bachelor’s favorite attractions—spring skiing! Springtime brings bluebird days at Mt. Bachelor (not to mention killer deals on passes). Mt. Bachelor boasts one of the latest-running seasons in the world, and it launches in earnest around the time we nudge our clocks forward. This weekend (March 16-18) kicks off with the Subaru WinterFest featuring live music, cool demos, and tons of cool parties (including an ‘80s dance party guaranteed to rock your neon-banded socks). They also offer spring pass deals that will let you ride up to 58 days in April and May. Go here for info on Springtacular deals. 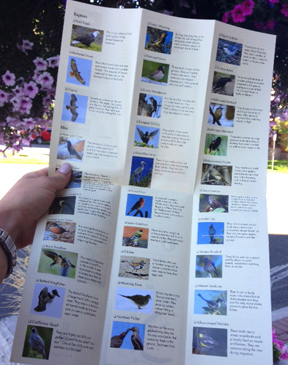 Grab your illustrated birdwatching guide and start looking! From the plaintive cooing of mourning doves in search of mates, to the ducks’ enthusiastic (ahem) dating along the Deschutes River, all the birds in Bend get twitterpated this time of year. If feathered friends are your thing, the Old Mill District makes it easy for you to fit a bit of birdwatching between shopping and your dinner reservation. Stop by the Ticket Mill to pick up a free birdwatching guide and a pair of rental binoculars (also free!) Consult the schedule to find out about seasonal Nature Walks and Bird Walks with local experts who can help you identify all the little birdies you’re seeing. Now’s the time when Bend’s restaurants and breweries start dusting off the patio furniture and ushering customers outdoors on days the sun shines brighter. 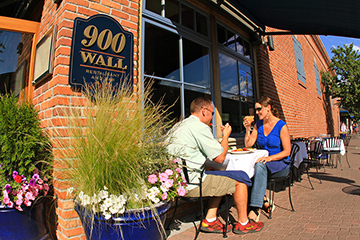 Warm weather brings more options for outdoor dining in Bend. It’s early still for many of the top river view dining spots in town, though it’s worth having the list in your back pocket so you can make a beeline for them on spring days when the temps lift into the 60s and 70s. If you’re itching to get outside and can’t stand to wait, check out this roundup of spots to dine outdoors even when the weather’s chilly. 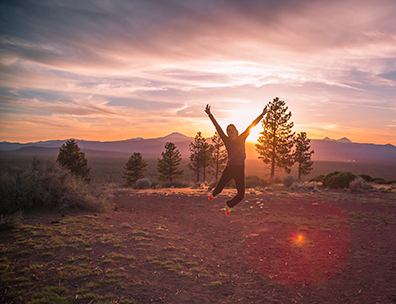 The most popular posts on Visit Bend’s Facebook page are sunrise and sunset photos, and for good reason. Bend boasts some of the most stunning sun-related eye candy in the world, particularly when you get that golden glow against the backdrop of the Cascade Mountains. Daylight Savings Time brings easier access to sunsets and sunrises. Sunrises are currently happening after 7:15 a.m., making them slightly more accessible than they were a couple weeks ago around 6:30 a.m. And if sunsets are more your jam, they’re getting later and later as the month goes on (giving us the aforementioned extra daylight for evening hikes). If you’re hoping to snap a quintessential Bend photo of sunrise, sunset, or some other unique Central Oregon landmark, check out this blog post for tips. And to pinpoint the precise time of each day’s sunrise and sunset, check out the roundup on this page. 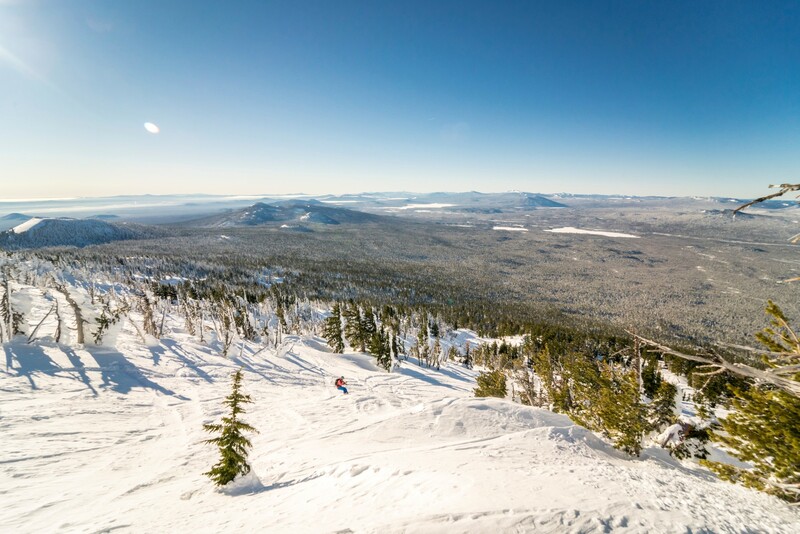 Next article: Want to win a spring getaway to Bend?